Reading - Schooled test on Thursday April 11. Speaking - the students will be presenting their biographies this week and next week. Grammar - we just finished with pronouns - we will review verbs from now until Easter - then move onto Adjectives. Writing - we are finishing up their biography - they are able to do one last good copy then hand it in again. But all the words are considered vocabulary words and will be on the Schooled test on April 11. In reading we will be finishing up with Schooled. In Writing we are finishing up with their biography with a bibliography. In grammar we are reviewing parts of speech. Biography rough draft is due Monday March 18 and the final copy is due on Friday March 22. This week we will be working on Schooled chapters 16-21. Today we did a listening and speaking project. The students were put into small groups and had to listen to each other and not interrupt. To wait their turn to speak and then to add to the answer or agree and go to the next question. They had to be careful that they were listening to each other and not just repeating the same answer. They were scored on how well they listened, by not interrupting and how well they answered by not repeating. They all did a great job with this :) The topic they were discussing was review questions for tomorrow&apos;s Schooled Test. Then for a bonus - for tomorrow&apos;s Schooled test - The group had to write down how yesterday&apos;s Gospel Reading was shown in the book Schooled. Homework study for a Test on Schooled tomorrow - Study chapters 10-15 and the vocab. Today we finished our oral presentations on our personal narratives. The students are good at telling stories and this was a good start for them - but a lot of the students just told a story - not the story they wrote. So, they need more practice. Students should read chapters 10 - 15 in Schooled. And write definitions in their own words for Schooled vocabulary and spelling words. Students should read Chapters 10-15 in schooled. Start to look up interesting people that they would like to write a bibliography on. They need to have three names by Tuesday. And the students should prepare for their oral presentation. We had our test on Adverbs today - and we started our review on Chapters 5-10 in Schooled. My plan is to have one more day of review then a test on Schooled. So Tuesday review, Wednesday test - or if there is a snow day on Tuesday then - Wednesday review and Thursday test. Homework - finish the review sheet. And we are working on Adverbs - I think they are ready for a test on Friday - but I may push it to Monday - depending on if we get to review tomorrow. They finished their personal narratives! I hope to grade them this weekend and then have the students present them to the class next week. The students have a big packet of vocab words to study and of comprehension questions to study. 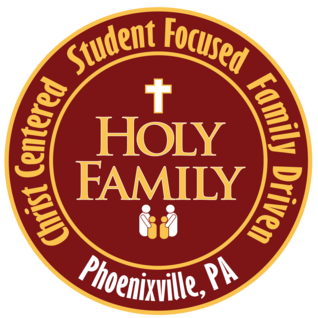 Parents Please send in a family picture for our Catholic School&apos;s Week Family Board. This Year we will be reading novels. The first Novel is Schooled. Its by the same author as the summer reading - Ungifted. It&apos;s another great story about a kid who doesn&apos;t fit in, but doesn&apos;t care - he still true to himself. It&apos;s a great story. And the Grammar test may be Tuesday as well. The students said they&apos;d rather have it on Tuesday than on Monday. 12/18/18 - We took our test on Hatchet - the next story we will do will be an actual book! No more short stories! Yay! And our next writing assignment will be a personal narrative. 12/11/18 -The students are working on the story Hatchet. And on Advent activities! We are so blessed to be a Catholic school! And to be able to celebrate the Birth of Jesus! In Grammar we are working on verbs. - we will probably test on verbs after the Holiday. 12/4/18 - write definitions for the spelling words - from Hatchet - in the students own words. And in Writing we will be working on our personnel narrative. And writing a fantasy story with a setting, charactors, a climax and a conclusion. This week we are starting the story Good Bye to the Moon. The spelling test will be on Friday 11/16/18 - the comprehension test will be after Thanksgiving. We are also working on fantasy writing and Subject and noun agreement. Thursday - Study for test on The Emperor&apos;s Silent Army, comprehension and vocabulary. The students should study the pamphlet and their vocabulary words. We reviewed for the test today in class. Today we had our spelling test - tomorrow we will review for our comprehension test on The Emperor&apos;s Silent Army. We are also working on a group project - groups of 2 or 3 are writing a halloween story. I can&apos;t wait to read them! The students seem to be enjoying this project - I hope the finished work is as good as they are excited! And finish voting packet - we did them in class - most students are done. Friday 11/9/18 will be a reading comprehension test on The Emperor&apos;s Silent Army. Friday - Have a nice Weekend - I hope they read for fun over the weekend! Wednesday - We are almost finished with our persuasive essays! This has been a long road! We learned about persuasive essays, about fact and opinion, about thesis statements and how to organize paragraphs, and how to write an intro and a conclusion. We did some peer editing, and I read almost everyone&apos;s first draft. We are now onto writing our good copy! In reading we are starting The Emporer&apos;s Silent Army - we did the spelling words today. In Grammar - we had a test today on subject and predicate We will move onto common and proper nouns next. Monday 10/22/18 - Test on Saving the Rain Forest - the students should study their workbook pages on the Saving the Rain Forest and the story. Wednesday 10/24/18 - Test on Grammar for saving the Rain Forest - again the students should study their workbook pages and their worksheets. We are working on our Persuasive essay, learning to identify fact vs. opinion, subjects and predicates, different sentences and our story is Saving the Rain Forest. The students had their pre-spelling test on Tuesday - and we tried something new - after the pretest - I let them grade their own papers - I instructed the students to look at spelling and letter formation. I put all the words on the board in cursive so they could compare their letters and see how the letters should look and also check the spelling. I instructed the students to correct their papers for spelling and letter formation in cursive. Then I collected the papers to check their work. Tonight for homework the students need to write each word that they still had wrong five times each on loose leaf and stable it to the pretest. The students also need to complete grammar class work - pages 314 and 315 in their voyages textbook. Some students completed this by the end of class. On the Spelling test - the words must be in cursive. No weekend homework - Have a great weekend! This test has been posted on the test calendar in the 5th and 6th grade hallway since last week - I apologize - I forgot to post it here. We are working on our persuasive essay in class - they just need to complete their persuasive essay map - if they didn&apos;t finish it in class. BUT - some students mentioned that they had a lot going on tonight - so the persuasive paragraph can be handed in on Monday. For homework they were to write their thesis statement. We got our new spelling words and vocabulary words today and did some prep for reading - talking about what will need to think about and look for while reading. The definitions for the spelling words should be the students own words - just brief descriptions - one or two words. The spelling words repeat - so one definition and one sentence for each pair of words. Students must have Ungifted book with them for the test! Start to study Ungifted study guide that was handed out today and reviewed today - just the study questions for now.